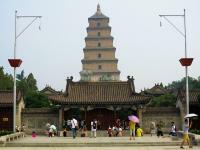 As the symbol of the old-line Xi'an, Big Wild Goose Pagoda is a well-preserved ancient building and a holy place for Buddhists. 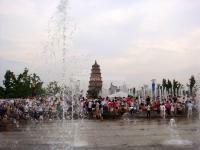 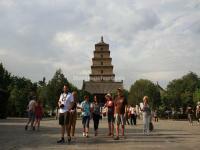 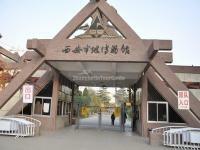 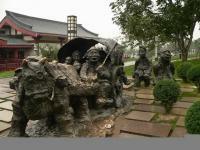 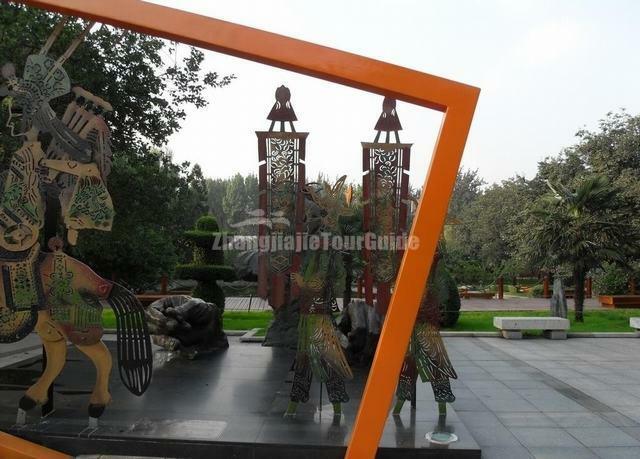 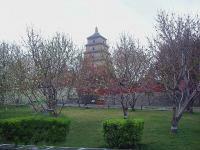 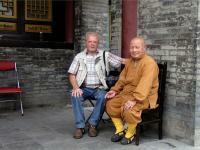 It is located in the southern suburb of Xian City, about 4 kilometers (2.49 miles) from the downtown of the city. 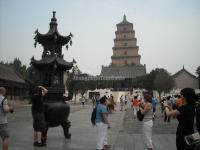 Standing in the Da Ci'en Temple complex, it attracts numerous visitors for its fame in the Buddhist religion, its simple but appealing style of construction, and its new square in front of the temple. 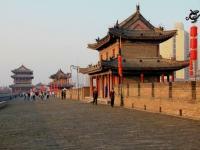 It is rated as a National Key Cultural Relic Preserve as well as an AAAA Tourist Attraction. 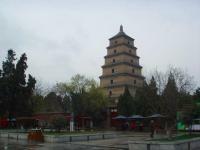 Originally built in 652 during the reign of Emperor Gaozong of the Tang Dynasty (618-907), it functioned to collect Buddhist materials that were taken from India by the hierarch Xuanzang.